Ducati CEO Claudio Domenicali says “there is no plan” from Audi to sell the Italian manufacturer having given a show of strength with the German brand’s logos appearing on the team’s MotoGP livery for the first time. Audi has owned Ducati through its Lamborghini alliance since 2012 but in recent years speculation surfaced around a potential sale of the Italian brand. 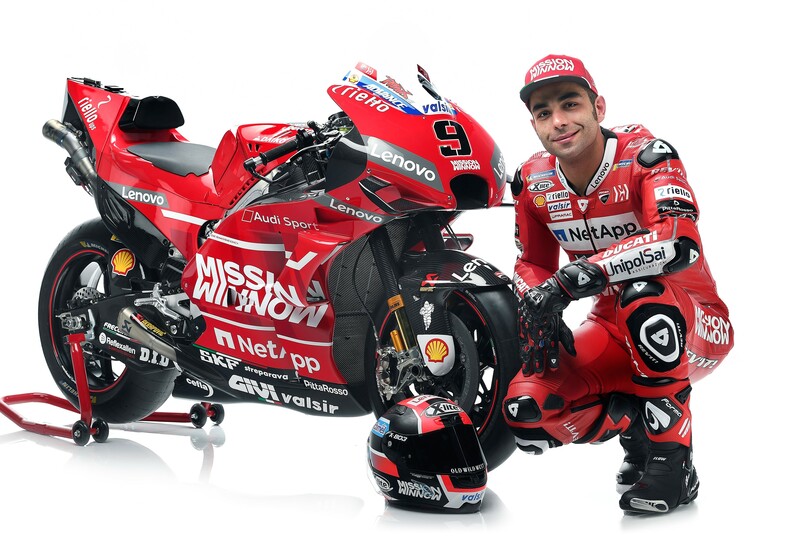 While Audi moved to soothe any concerns, with chief executive Rupert Stadler confirming he had abandoned plans to sell Ducati, the team’s 2019 MotoGP team launch saw Audi branding debut on its bike livery. Pressed on Ducati’s current situation in the Audi fold, Domenicali feels the livery branding is a “sign of strengthening” in its relationship which will calm sale concerns. “I can say what is publicly being told that there is no plan currently to sell the company to anyone,” Domenicali said. “I cannot give the final word but there is no plan on that. “I think it [the livery branding] is an important sign of strengthening the corporation and our major shareholder. We have been in the group since 2012 and through the years improved synergies and technically. With Audi as its parent company Ducati is part of the wider Volkswagen Group and Domenicali feels the targets and profile of the Italian marque fits into its wider plan. “They want us to strengthen as a company,” he said. “We are a small company in the group, so our result will not change the economical of the situation of the group as it is more the 200 billion in turnover, the whole VW group.